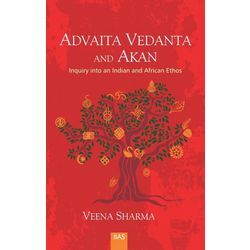 Written in direct, accessible language, this book juxtaposes two world views – Advaita Vedantic from India and Akan from Africa. It highlights consonances and dissonances between the two with the aim of understanding each on its own terms. The work foregrounds the fact that there are many ways of approaching fundamental questions regarding the human condition, each valid in its own historical and geographical context. Despite pervasive and sustained exposure to other belief systems – especially due to the colonial intervention – the two indigenous thought systems discussed here continue to deeply impact the mindsets of the followers of both. Their ideas about God and about the relation of the human being to the Divine have a far reaching influence on their perceptions about ethics, justice and social cohesion and how they deal with defaulters. Though much work has been done in the fields of political and economic relations between India and Africa, no serious attempt has yet been made to understand their world views through a comparative lens. This endeavour could further deepen and enrich mutual understanding and help craft more robust political relations. Written in direct, accessible language, this book juxtaposes two world views – Advaita Vedantic from India and Akan from Africa. It highlights consonances and dissonances between the two with the aim of understanding each on its own terms. The work foregrounds the fact that there are many ways of approaching fundamental questions regarding the human condition, each valid in its own historical and geographical context. Despite pervasive and sustained exposure to other belief systems – especially due to the colonial intervention – the two indigenous thought systems discussed here continue to deeply impact the mindsets of the followers of both. Their ideas about God and about the relation of the human being to the Divine have a far reaching influence on their perceptions about ethics, justice and social cohesion and how they deal with defaulters. Though much work has been done in the fields of political and economic relations between India and Africa, no serious attempt has yet been made to understand their world views through a comparative lens. This endeavour could further deepen and enrich mutual understanding and help craft more robust political relations.